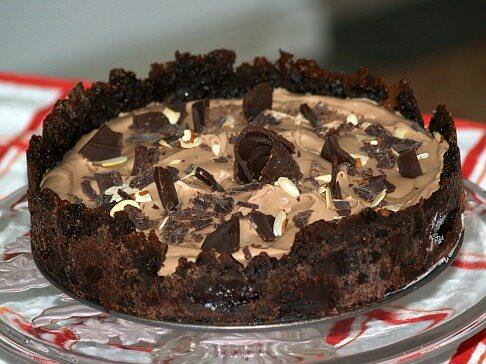 If you are learning how to make chocolate dessert recipes, there are so many rich luscious ones to make. Can dessert get any better? Chocolate is the favorite flavor around the world. I have also found that the favorite topic of food discussion around the world is the many dessert recipes. After you have learned how to make chocolate recipes, you will see that it stands to reason why they are the hottest topic worldwide and I am included. I want to mention, as I am sure you already know that there are many different types of chocolate. Each one of these chocolates is equally delicious and equally valuable depending on the recipe which you will include it in. Not only are they broken down into different types of chocolates as I have listed below but you will notice that each type or brand or manufacturer may have a different percentage of actual chocolate in it. It is best to try different ones and find your favorites to cook and bake with. A pure unsweetened type has no added sugar, therefore has a bitter and intense taste. It is used mostly for baking and is good in those gourmet cupcake recipes. The pure semi sweet form does have added sugar and cocoa butter. It is handily available in all the stores. It is the most versatile to use. Use this in a chip form in your homemade cookie recipes, or melted in some of the no bake dessert recipes. The bittersweet is darker and less sweet than the semisweet. It is used for baking and sometimes labeled as “dark “. This would make delicious rich dark gourmet cake recipes, where the leavening agents cause it to be heavy and moist. The delicious milk chocolate has added milk solids, cocoa butter and sugar. It contains less pure chocolate. This is what the majority of candy is made from in our candy isles. The sweet baking variety is pure but with added cocoa butter and sugar. The best cake recipe that I make is the German chocolate cake made with this sweet type. When you learn how to make chocolate dessert recipes you will find this is suitable for many desserts. Unsweetened cocoa powder is pure with most of the cocoa butter removed. This should be a pantry staple because it stays good for a long time. Very often this can be used in baking substitutions for other forms. The white type is not a true chocolate one. It is a combination of cocoa butter, sugar, milk solids and flavorings. It is used often in making candy. Many cake recipes call for this variety. The premelted unsweetened variety is used for baking. It is made of cocoa powder and vegetable oil. It could be added to easy homemade ice cream recipes brownies or any of your chocolate dessert recipes. When you have learned how to make chocolate dessert recipes you will find that they can be as simple as dipping strawberries in melted chocolate. While I am mentioning melted chocolate and I am talking about dark, milk or white melted chocolate. Spoon some over pecans, walnuts, peanut or cashews; let them set up and the chocolate harden and see how good this is for a simple quick dessert; try also dipping marshmallows, bananas, pretzels, crackers or shortbread cookies. I am sure I don’t have to tell anyone how great chocolate layer cake recipes are, or all those rich brownies, or creamy fudge, or wonderful chocolate pies and cookies; but what about chocolate soup recipe, chocolate soufflés and chocolate mousse? 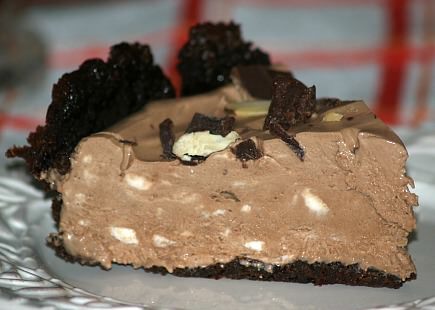 How about chocolate cheesecake? I am not just talking about plain chocolate cheesecake but some of those with caramel and pecans and all those other ingredients in them. The great think about chocolate dessert recipes is that chocolate blends so well with many other dessert ingredients like coconut, peanut butter, mint, cream cheese, nuts, caramels and many more. Your choices are endless to come up with some fabulous tasting products. Besides loving the taste of these chocolate dessert recipes, just think, there are some health benefits of chocolate; one being it offers a natural detoxification. This cold chocolate soup recipe might be difficult for some people to accept but believe me it is delicious; just think of it as a creamy dessert. Combine in small saucepan ½ of chocolate chips with milk and melt over low. Combine chocolate milk mixture with remaining ingredients in blender (except whipped cream). Blend mixture until smooth and chill until ready to serve. Place other half of chocolate chips in dry blender and chop in small particles; set aside. Garnish with dollop of whipped cream and a sprinkle of chocolate particles. Combine in a small bowl crumbs, sugar and butter. Pat crumbs in bottom and up sides of a buttered 9 inch spring form pan; chill. Beat cream cheese in large mixing bowl until fluffy; add condensed milk and chocolate syrup. Dissolve coffee in hot water; add to creamed mixture and blend well. Whip cream until stiff and fold into creamed mixture; pour into prepared pan. Cover pan and freeze until firm about 6 to 8 hours. Beat together in mixing bowl sugar, corn syrup, eggs, salt and flour. Melt butter and chocolate; add vanilla and beat into egg mixture. Place pecan halves in pastry shell; pour mixture over top. Bake at 300F degrees for 50 to 60 minutes or until custard is set in center. Let cool completely before serving; garnish with whipped cream.